i did it. i began working on this guitar in december and while it’s far from perfect, it’s done and it sounds great! this isn’t just an achievement in terms of my first ever guitar finishing/woodworking project, although it is that. it’s also the first time in a long time that i’ve actually completed a long term project. from albums to podcasts to comics, i’ve continually dropped projects before they were fully realized, and while they’re filed under a “someday” category in my mind, practically speaking even if i were to pick them up again, it would really be a new project. starting something and regularly advancing it toward a clear finish is something that was far from my identity. nathan isn’t a closer. but here we are. 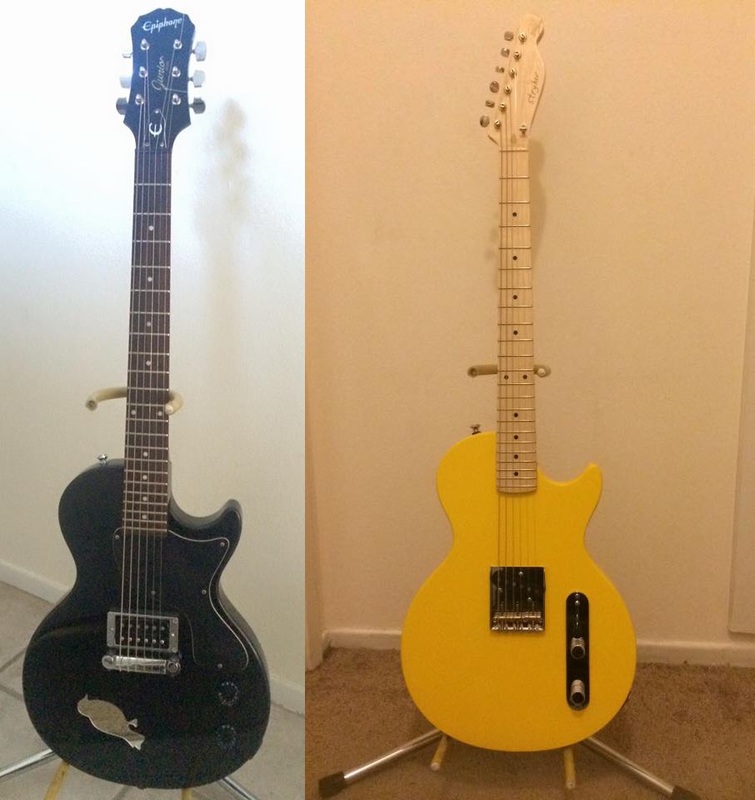 i began this guitar, worked on it regularly and consistently, and it’s done! “unable to finish long-term projects” is no longer a part of my identity, at least not wholly, and i don’t need to be limited in my vision by what i can reasonably do.